Experience worry-free and rewarding bills payment! Now there’s no need for you to go to payment centers and to line-up just to pay for your bills! All you need is to call one number, to settle your electricity, water, phone, internet bills and more! What’s even better, you will also earn Rewards / AIRMILES Points for your bills payment. Every Php250 payment earns you 1 Rewards/AIRMILES Point. To enroll in Fast BillsPay, just call RCBC Bankard Customer Service at 888-1-888 . The RCBC Bankard’s Fast BillsPay is a payment facility offered to RCBC Bankard Cardholders to conveniently settle bill/s of accredited utility/insurance companies (“Company”) by charging the amounts thereof to their RCBC Bankard credit cards. The RCBC Bankard account/s must be active and current at the time of enrollment. Corporate cards and dollar cards are not allowed to enroll in the facility. Cardholder may enroll up to two (2) RCBC Bankard credit card accounts (principal or supplementary cards) to pay any of the accredited companies but maximum of five subscriber/policyholder accounts only per Company. The subscriber/policyholder account/s need not be in the name of the Cardholder. Enrollment or registration to this facility for corporate or sole proprietorship or non-personal or business-related utility bills/insurance premiums/donations is not allowed. RCBC Bankard shall have the absolute discretion to approve or reject the enrollment application of the Cardholder. If there are unpaid bills prior to the approval of the enrolment, the cardholder must settle these unpaid bills directly with the company within the prescribed payment period. Only bills dated after approval of the enrolment may be paid through RCBC Bankard’s Fast BillsPay payment facility. 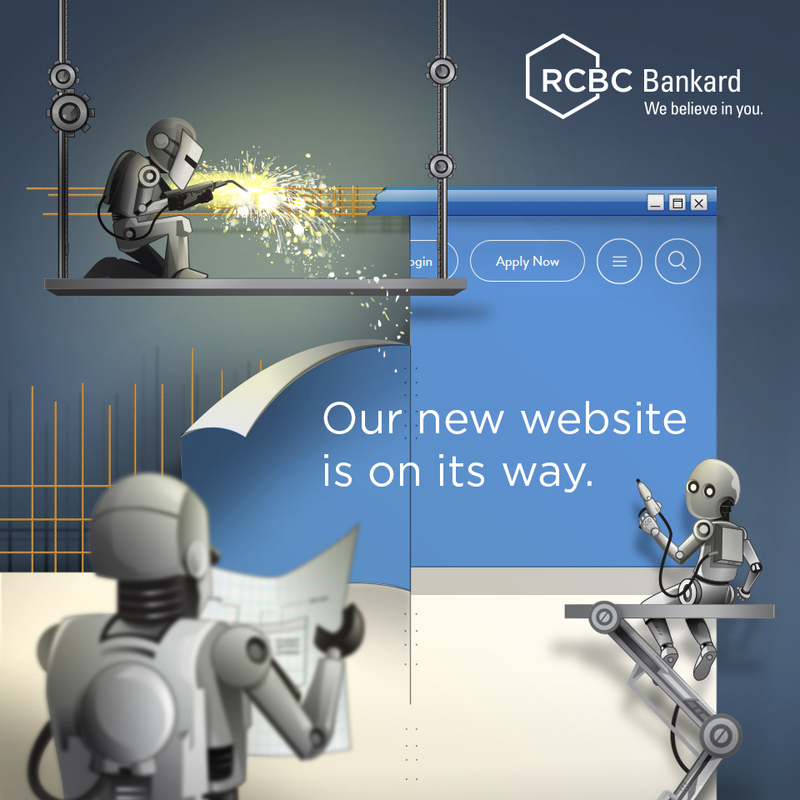 For On-demand, upon enrollment of the subscriber/policyholder accounts and the RCBC Bankard account/s, the principal Cardholder or his supplementary/extension Cardholder/s may simply call RCBC Bankard Customer Service anytime at 888-1-888 to pay for their enrolled subscriber/policyholder accounts. Cardholder must inform the RCBC Bankard Customer Service Representative the subscriber/policyholder accounts to be paid, the amount to be paid and the RCBC Bankard card to be charged for the payment. In case payment instructions are received late by RCBC Bankard, the Cardholder shall not hold RCBC Bankard liable for any penalty, inconvenience, delay, damage liability, loss or other consequences that may arise from late payment, including but not limited to, disconnection or interruption of services. For Auto-Charge, once successfully enrolled, the succeeding monthly utility bill will be automatically charged to the enrolled RCBC Bankard card. RCBC Bankard shall have the absolute discretion to approve or reject the payment request. The Cardholder understands that in case RCBC Bankard rejects the payment of bill/s on grounds such as, but not limited to, insufficient available credit line, overdue balance, invalid subscriber/policyholder number, incorrect amount or suspension by the utility/insurance companies and/or RCBC Bankard, the Cardholder shall pay the corresponding amount of his bill/s directly to the Company. In such cases, the Cardholder shall hold RCBC Bankard and the utility/insurance companies free and harmless from any damage for the suspension or cancellation of service, or penalties or interest that the cardholder may incur, directly or indirectly, by reason of such rejection or cancellation. For On-demand, RCBC Bankard shall charge the bills to the enrolled RCBC Bankard credit card account only upon request of principal Cardholders. Supplementary Cardholders may request for payment of principal Cardholders enrolled the supplementary cards. In case of double payment or excess payment, the Cardholders shall request reimbursement of excess payment directly with the Company. For Auto Charge, RCBC Bankard shall charge the bills to the enrolled RCBC Bankard credit card account upon receipt of the billing file from the utility company/biller. The Cardholder understands that the utility company/biller has the sole responsibility for preparing the billing file and ensuring its accuracy and completeness. RCBC Bankard is under no obligation to verify the accuracy and completeness of the billing file received from the utility company/biller. For any errors, duplicate billing or other concerns that the cardholder has with the billing of the utility company, the cardholder agrees to address these to the utility company. RCBC Bankard is under no obligation to resolve the same with the utility company. Bills payment transaction shall earn one (1) Rewards/Airmiles point for every P250 transaction except when the credit card enrolled is myDream JCB. For those under cash rebate programs, rebate of 0.10% shall be provided for every bills payment transaction. The utility/insurance billings, if any, shall form part of the Cardholder’s Outstanding Balance and shall be billed by RCBC Bankard on his statement cycle. Dispute between the Company and the Cardholder regarding the service shall not affect the Cardholder’s obligation to pay his Outstanding Balance on his RCBC Bankard card. RCBC Bankard shall inform the Cardholder in case the payment agreement between RCBC Bankard and the Company is terminated. It is understood that the obligation of RCBC Bankard to process payment of bills under the Fast BillsPay shall automatically cease upon termination of RCBC Bankard’s agreement with the Company. Cardholder may cancel his enrollment under the Fast BillsPay by giving written notice to RCBC Bankard. Cancellation of enrollment shall be effective only after fifteen (15) days from RCBC Bankard’s receipt of such notification. The cancellation of the enrollment shall be without prejudice to unpaid and accrued obligations of the Cardholder to RCBC Bankard, if any. For replaced or upgraded cards, the Cardholder hereby authorizes RCBC Bankard to automatically re-enroll under the new/replacement card number, all previously enrolled accounts in Auto-Charge, without the need of notice to or consent of the Cardholder. The above Terms and Conditions may be amended and supplemented by RCBC Bankard from time to time. These Terms and Conditions are suppletory to and do not amend the Terms and Conditions Governing the Use of the RCBC Bankard Credit Cards, which shall continue to be binding on the cardholders. In availing himself of the Fast BillsPay, the Cardholder agrees to be bound by the Terms and Conditions of this payment facility. PLDT Alabang Country Club, Inc.
Sun Life of Canada Phils.